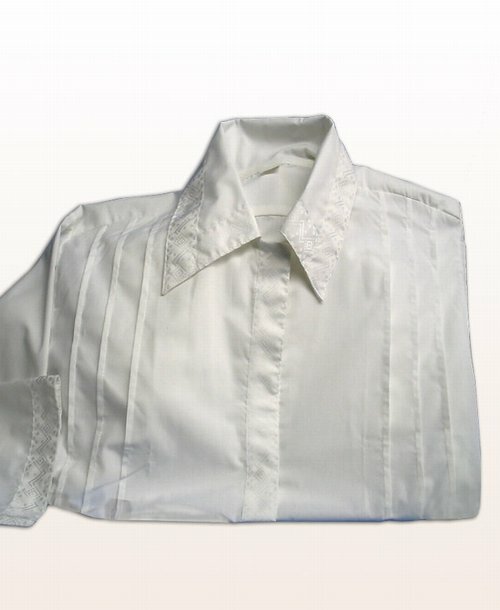 A white elegant Kittel for your Chassan to wear under the Chupa. A Kittel is a white robe worn over the clothing, and is also worn (in some communities) on Yom Kippur, and on the night of Pesach. The height measures from the bottom of the collar down, and the width at the shoulder line - all sizes are approximate.